Friendly atmosphere. Professional service. Pleasant hotel grounds. Nice building. This luxurious hotel is set amidst 40,000 m² of parkland on the shores of Lake Geneva. The hotel boasts stunning views over the lake and the French Alps. The hotel lies just 2 km from the nearest train station, while Geneva Airport is just 60 km away. Links to the public transport network are to be found just 300 metres from the hotel. This elegant hotel enjoys a 19th-century style, taking visitors back in time to a graceful era. 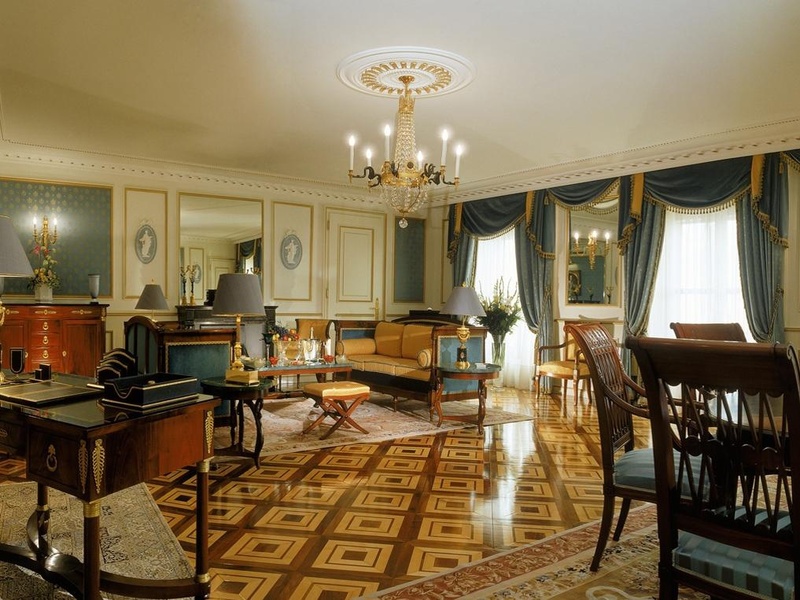 The guest rooms are beautifully appointed, exuding a sense of classical elegance and refined luxury. The rooms are well equipped with modern amenities. Guests are invited to enjoy delectable dining in the hotel's Michelin -star restaurant, where sumptuous dishes are sure to impress. This hotel appeals to discerning business and leisure travellers. The best place to visit. Next to public transport metro. Stunning location. Excellent family hotel. Good for sightseeing. Fantastic service. Great pool. Decoration impeccable. Exquisite experience. Sumptuous building. Beautiful garden. Beautiful decoration. Impressive building. Fantastic spa. Including spa. Nice fitness room. Fantastic greeting. Excellent staff. Great kids club. Superb breakfasts. Wonderful breakfast. Breakfast buffet amazing. AC worked very well. Amazing views from hotel. Amazing view.